We all know we should work out, but we can’t always get to the gym consistently, so what do we do?! 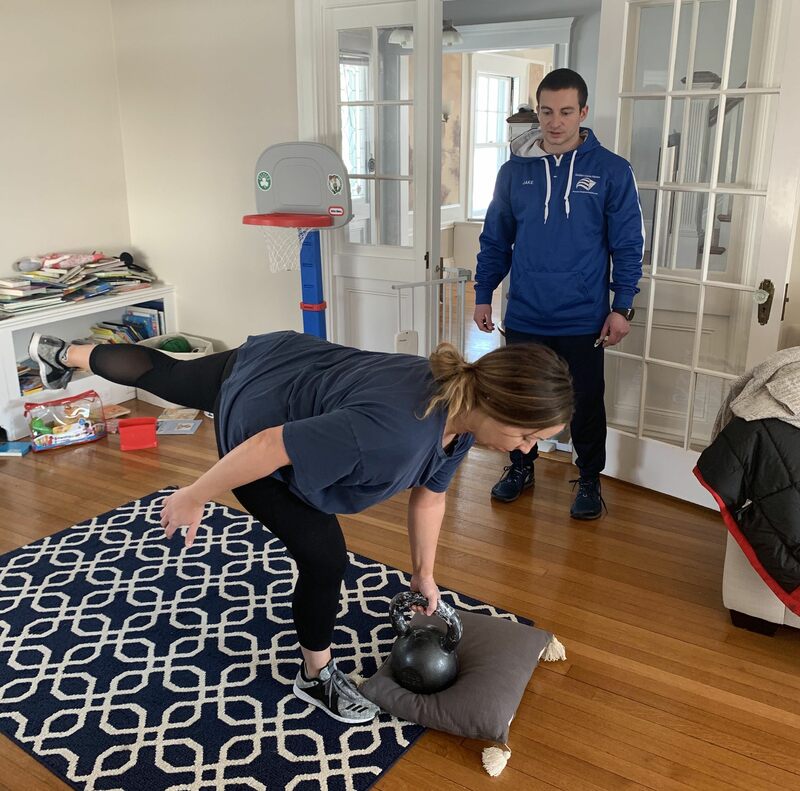 Listen in to learn tools and tips for working out at home (or anywhere)from one of our In-Home Training specialists, Coach Jake Freedman! Jake was one of the first coaches hired at Golden Home Fitness, and this is our first in-person 1-on-1 interview, so innovation is in the air and we also feature a new and fun off-topic/bloopers section at the end! 3:00 – Why is Jake so passionate about health and human performance? 8:00 – How do you maximize training in the home setting or in a relatively limited apartment community gym setting? Tips and top recommendations that have worked for his clients. 32:00 – Q&A rapid fire round! Visit GoldenHomeFitness.com/LetsMove or Call (844) 704-9477 to schedule a complimentary workout in Greater Boston where we come to you, or schedule a live video coaching session remotely!